If it’s breathtaking scenery, dramatic valleys and heritage towns you’re after then the Sheen Falls Lodge has it all and more. 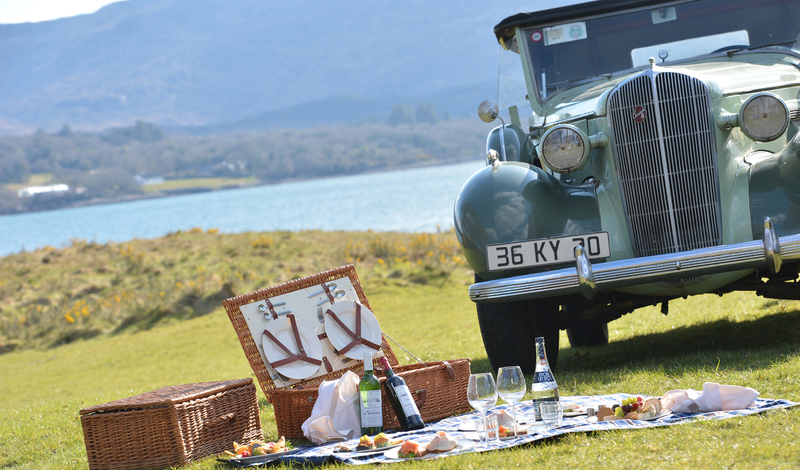 This luxurious retreat makes for the perfect escape from everyday life, cradled in the heart of Kenmare Bay on the Wild Atlantic Way- the only choice you need to make is whether you while the afternoon away in the historic streets of Kenmare or go get lost amongst the hilltops. Make one of the luxury guestrooms or suites in the main lodge your home, but if its a little more privacy you crave- why not try one of the larger surrounding villas or cottages. Set on Kenmare Bay and the infamous Wild Atlantic Way, Sheen Falls is a fantastic springboard for discovering the untamed beauty of south west Ireland. This wild Atlantic bay is right in between the world famous Ring of Kerry and the lesser known but equally spectacular Ring of Beara. Only a short 5-minute drive from Kenmare (known as the jewel of the Ring)- the cobbled streets and quaint stores are waiting to be explored. It doesn’t matter whether its a romantic break for two, a solo exploration or a large family trip- each and every room makes the perfect base to dream the nights away after a day exploring Ireland’s south-west. If there’s a few more of you: surround yourself with complete privacy in one of the enchanting thatched cottages, apartments or grand houses. Each with its own unique charm and character, pick one that suits you down to a tee. From the rambling fields, picturesque towns and endless hilltops- there is no shortage of places to explore. After an adventure filled day, spend the evenings relaxing in the lodge’s spa, all their products are sourced from the Emerald Isle’s own natural nutrients (the Atlantic seaweed body wrap is a must). After being pampered, rev it up a bit and jump in the car- zoom through the famous Ring of Kerry (the views don’t get much better than this) and if you haven’t already buckled under Ireland’s charm, we’re sure this will be the last straw.